The composer Julia Wolfe has never shied away from making a statement, particularly when it comes to her vivid portrayals of the arduous and cruel past of America’s laborers. Spinning, which premiered on May 10 as part of Montclair State University’s Peak Performances series, continued on her self-blazed trail celebrating and critiquing the history of labor. Carefully structured and immaculately paced, the hour-long work for three vocalizing, amplified cellists (reviewed on May 11) showcased Wolfe’s deeply engaging and uniquely attentive brand of minimalism. 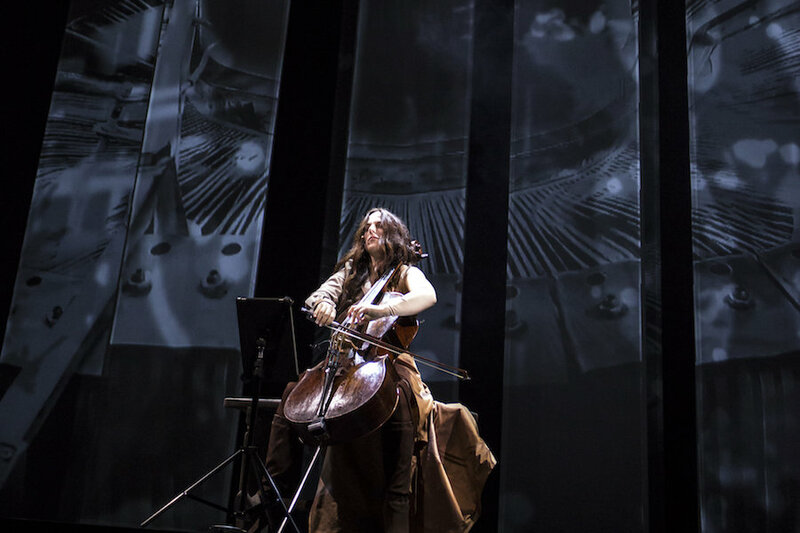 Co-conceived by hybrid siren-cellist Maya Beiser, Spinning served to chronicle the evolution of the labor of spinning: from the work of spiders winding their webs, to women’s hands dexterously drawing out fibers, to the industrial bustle of machines pulling thread. Undoubtedly the star of the show, Beiser showcased a sensitive form of virtuosity that was framed and deftly supported by cellists Lavena Johanson and Melody Giron, who rounded out the trio of women commanding the stage. 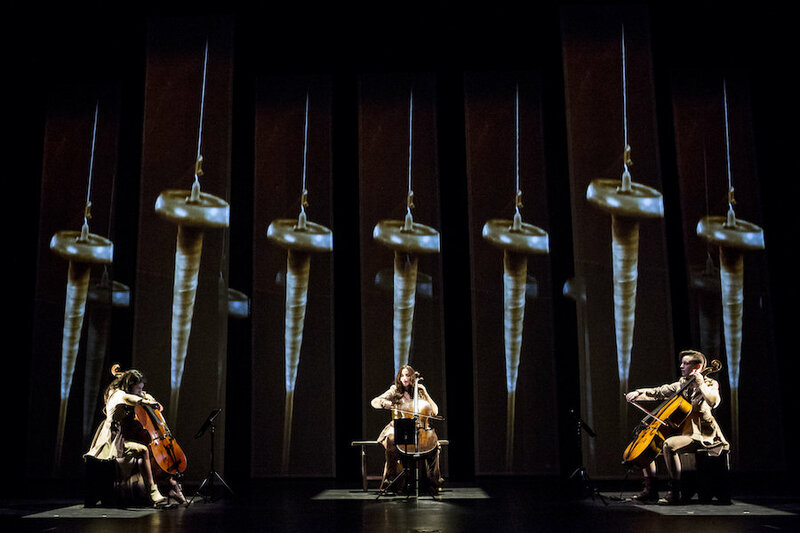 The rich tradition of women in the craft and art of textiles was lionized with spare choreography by Netta Yerushalmy, which opened the piece in silence and gradually introduced Wolfe’s opening soundscape of amplified cellos being spun vertically and continuously on their endpins. With each spin, the trio cautiously added the whispy sound of fingers barely brushing over the open strings, enveloping the silence with a gestural and sonic whirring evocative of distant machinery. Thin tapestries of swirling projection art by Laurie Olinder gracefully illustrated the sonic textures of the work, serving as a sort of reverse-soundtrack, or visualtrack, to support the music. 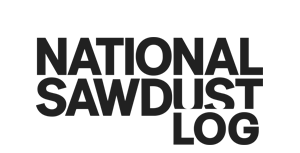 Spinning expands upon Wolfe and Beiser’s previous collaboration, Emunah, from Beiser’s 2016 solo album TranceClassical. Both of these collaborations feature Wolfe’s trademark Appalachian-spirited openness and a sense of viol-like dynamic expression, which serve to elevate Beiser’s signature ambient wash of highly-curated soundscapes. Wolfe unified the acoustic instruments with cloud-like electronics, which undulated through a progression of textures ranging from electrifying accordion-like drone-swells to regions of less-inspiring vocal reverb washes. But those moments lost to reverb were more than made up for by moments of immaculate clarity and delicacy destined to delight any ASMR enthusiast. In perhaps the most potent of these moments, Johanson and Giron wove a length of gossamer ribbon through Beiser’s cello, pulling it to and fro like a shuttle through a loom. The highly acoustic effect drowned the audience in a sound as shimmering as the choreography that produced it. The thematic strands of the evening wound full-circle as all three women began to vocalize and ruminate on the spider’s legacy in loosely-structured hocketing. One can only assume this is Wolfe’s interpretation of the waulking song, a deeply old Scottish genre of women’s working songs, trancelike and ritualistic in their rhythmicity. Wolfe left the audience in a state of reverence for the sacrifices of our laborers—a sobering and poignant respect for labor that seems all too absent in today’s affluent political swamp. The only piece on the program, Spinning stood up proudly without want for anything more or anything less.